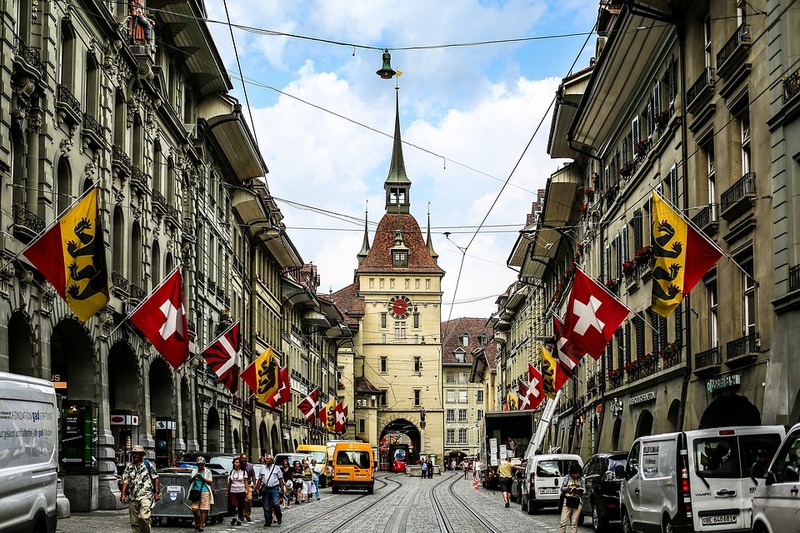 The Swiss, who run numerous referendums to dictate government policy, held the poll in February 2016 to decide whether married couples and co-habiting partners should pay the same tax. Voters rejected the proposal, with 50.8 per cent against and 49.2 per cent in favour. People have been quick to point out parallels to Britain’s vote to leave the European Union. Not only did the campaign to Leave break electoral law, many of its promises have since been proved to be either inaccurate or completely false. Claims that the NHS will receive £350 million a week have been disproved, as has Turkey’s accession to EU and any notion of a positive economic outcome. The Swiss will go back to the polls after the Swiss government told voters just 80,000 of married couples were paying more tax than couples living together. No comment on the lies from the Remain camp or does that not fit the agenda? If both sides lied then that strengthens – not weakens – the argument for a new vote. Do draw this to MPs attention. Sense must prevail eventually. I have been on the losing side of many referendums over the years . It hurts and its hard to take but the idea that any referendum result should be ignored really irritates me . There is a worrying school of thought among European Unionists that if an EU referendum is lost its simply because the public were misinformed and consequently another referendum must be held or the vote should be ignored . The Nice and Lisbon referendums in Ireland and the recent Brexit referendum in Britain are prime examples of this school of thinking. It can never be the case that actually , maybe the the public were fully informed but simply didn’t agree with the treaty etc and voted accordingly . In relation to the Brexit referendum , there was a big push by European Unionists for either a second referendum or simply for the public vote to be ignored based on the reasoning that the public must have been misinformed . It is the nature of referendum campaigns that things are said which may or may not be true , The time to address these points is during the campaign . Both sides are given plenty of opportunity during the campaign to challenge the other sides arguments and to present their stall to the public .In addition , the public have plenty of opportunity during a campaign to research the facts for themselves and vote accordingly . To argue that a referendum should be re-run on the basis that the losing side failed to challenge an argument or raise an issue which they should have would lead to infinite numbers of referendums . The EU remain campaign were no strangers to untruths . For example , the remain campaign repeated over and over again that young people wouldn’t be able to go abroad and study and that it would shut down so many doors for them , this is simply not true , UNESCO statistics show that most foreign students studying inside the EU actually come outside the EU , which means that a Britain outside the EU would result in even greater opportunity for young people in Britain to study in other EU states if they so desired which most dont want to anyway . Democracy is a fragile thing . Once you cross the line and decide to ignore the first Democratic Decision taken by the people , you have a democracy in name only and are into some other form of government. In the 1932 elections in Germany , the National Socialist German Workers Party became the largest party in the Reichstag . While in office they went about dismantling the democratic processes in order to impose their will on the people . I cant help but draw parallels with these people and the European Unionists of today who are taking control in a similar manner and using the same methods of control along the way.